General Motors announced earlier this week that it will be spending $877 million to update and upgrade Flint Assembly Plant. 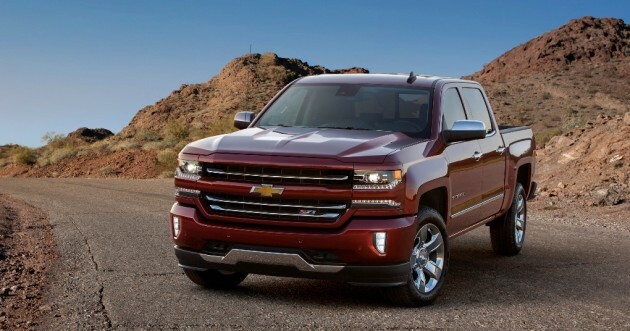 And despite recently running advertisements denigrating the Ford F-150 for its use of aluminum alloy, a report states that a good chunk of this investment could be put toward using a similar composition for future GM trucks and SUVs. According to Reuters, GM’s investment is the first of three expected expansions of its US truck plants. These upgrades will add new assembly lines, welding shops, and paint processes for models including the Silverado, Tahoe, and Escalade. Production on current-generation models will run concurrently to the upgrades and improvements, preventing GM from having to shutter the plant for any period of time. GM has already banged out deals with aluminum suppliers, and it is incorporating aluminum in the body of the upcoming Cadillac CT6. At this stage, it’s not a matter of if we will see Buick, Cadillac, Chevrolet, and GMC models with aluminum-intensive elements, but when.